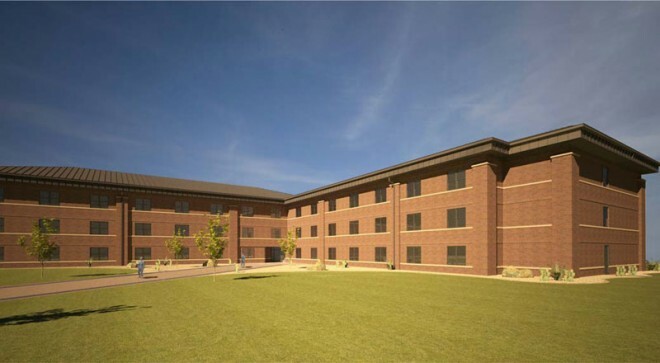 Design-Build of 55,000 SF 100 Room Dormitory and 3,200 SF Military Leaders Training Building. The new building is three stories high in a T-shape with a full-height central hallway and includes amenities. The building shall provide adequate student housing conducive to proper rest, personal well-being and suitable study environment.